Surprise, surprise, I did not read as much as I had hoped to. But! That’s okay, because we had an amazing summer, and I got to spend a lot of time with family and friends, and it was totally worth it. But, I wanted to give you a quick run down of some of the books that I read this summer and my thoughts on them. This is not going to be a full review of all of these books, just a paragraph or so on my initial thoughts. What did you read this summer? Let me know in the comments section!! 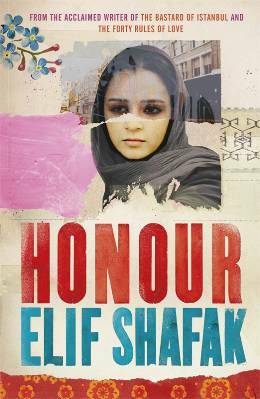 Honour by Elif Shafak: (my apologies because this is really hard to find in the USA, I bought it at the airport in Istanbul) I read this because I was really interested in getting a Turk’s perspective through literature. It was a very interesting book, but written in a different style than I am used to. It was deep and sad and eclectic. I recommend it, but it is a little heavy and the reader needs to be committed to appreciating culture and perspective and not expect the book to cater to their own wants. No Greater Love by Levi Benkert and Candy Chand: I really liked this book. I have a lot of interest in both orphans and Africa, so this memoir really captured my attention. This is the story of how Levi and his wife Jessie moved to Ethiopia to work in orphan care with children who had been condemned by their tribe and were going to be put to death. I thought this was a gripping and heartbreaking story, but one of hope and one with a sliver of encouragement that things can be done to change the plight of unloved children. The Fault in Our Stars by John Green: This was a NY Bestseller that Jeremy and I purchased for a road trip. I have to say I really enjoyed the story. It is emotionally engaging and the character development is extremely well done. I do have to caution you that I would not openly recommend this book because there is objectionable material and language. We read the book within two days, though, and it’s the kind of book that you can attach yourself to and will be really sad to finish. But, overall I really liked it. Beyond the Summerland (The Binding of the Blade, Book 1) by L. B. Graham: This book was recommended to me by a friend who I usually share tastes in books with. However, I am sad to say that I was quite disappointed with this book. It took me forever to read this one and there were aspects of a good epic storyline, but I had a lot of critiques as well. Sadly, I do not recommend this book very highly. Becoming the Woman of His Dreams: Seven Qualities Every Man Longs For by Sharon Jaynes: Maybe this is weird, but I love this genre of books. I love marriage and relationship books! So, I thought that this one was great. It went really really fast for me, and it has a lot of good material in it. It walks through 7 qualities that guys desire in a wife and practical ways and lists of ideas to incorporate those qualities into your life. I really enjoyed it and would recommend it for any wife who is looking to grow in her relationship with her husband. In Between: A Katie Parker Production (Act I) by Jenny b. Jones: I loved this book! I read it so quickly. Now, it isn’t really classic or deep . . . it is just a fun story about a foster girl and her struggles to adapt to a new family and a new way of thinking. It is a Christian fiction book and is funny without being cheesy, and incorporates ideas of faith without preaching. Every now and then I just need a light fun book to read to relax from my heavier reading, and this was perfect! I definitely recommend it. Now, I am just biding my time until tomorrow when Opening Moves: The Bowers Files (Patrick Bowers) comes out. I am pretty sure that you will not want to miss that book. I do not have a negative word to say about any of Steven James other books (in fact, he is the only author so far that I have committed to buying every novel that comes out for the last three years!! I have currently purchased or been given 8 of his books.) so I am EXTREMELY excited about this novel coming out tomorrow!! Go pre-order it now at Amazon!! I did . . . as well as the first book of his new series that comes out in November: Placebo: A Jevin Banks Novel (The Jevin Banks Experience) .